More and more people are coming to understand the power behind Self-Directed IRA strategies. Further, they are embracing the wisdom of diverse and unconventional asset classes while liberating their retirement portfolios from the narrow outlooks frequently characterizing the big Wall Street investment firms. As such, with that knowledge comes the increased openings of Self-Directed IRA accounts. Many of these new investors are not yet clear on the role of custodians and third-party administrators in the Self-Directed IRA industry – and the important distinctions between the two. IRA rules prohibit investors from taking personal, direct possession of assets within their Self-Directed IRAs. Yes, you can own the house down the block within your Self-Directed IRA, but you cannot personally reside there. What is more, you cannot keep the gold coins your IRA owns in a safe in your living room. To use a more traditional example, it is no different than not being able to personally hold your stock certificates residing in a Schwab IRA account. Custodians hold your Self-Directed IRA assets on your behalf. Administrators process the paperwork on behalf of the custodian. American IRA is an administrator and New Vision Trust Company, a South Dakota chartered Trust Company, holds the assets. New Vision Trust Company and American IRA, LLC are an integrated financial company providing both custodial and administrative oversight for your Self-Directed IRA transactions. A custodian handles transactions and holds Self-Directed IRAs and other retirement assets on your IRA’s behalf. The IRS has stringent requirements for Self-Directed IRA custodians. These businesses are subject to regular inspections and audits by federal regulators. They can hold titles, cash, investments and other types of property on investors’ IRAs’ behalf, and handle a lot of transactions. If you own gold or other precious metals, or physical assets within an Self-Directed IRA, chances are there will be a custodian in the mix, holding the gold or other assets in a secure, insured facility somewhere – or at least physically holding certificates. An IRA third party administrator, such as American IRA, LLC, has a more tapered scope of engagement. Administrators are the account record-keepers responsible for generating statements and documents. We do not hold assets directly, but work with New Vision Trust Company, a South Dakota chartered Trust Company on your behalf. New Vision Trust Company and American IRA, LLC are an integrated financial company providing custodial and administrative oversight for your IRA transactions. We simplify the process, document your transactions, generate statements and 1099s, and work with your advisors to help you stay in compliance with IRS rules and regulations. We do not advise on the suitability or non-suitability of any particular investment for your individual portfolio. That is up to you and your own financial advisors. We focus on quickly and accurately executing and recording the transaction on your behalf, in accordance with IRS regulations. These individuals do not handle transactions and do not hold assets on your behalf, but they support the Self-Directed IRA process in other ways. One type of promoter might be a real estate agent who focuses on helping investors find properties for their Real Estate IRAs, and who becomes very knowledgeable in that niche. Others are financial advisors, RIAs, IARs, accountants and attorneys who also promote the Self-Directed IRA approach and help facilitate your Self-Directed IRA strategy. For example, an attorney may help create entities within your Self-Directed IRA such as C corporations and LLCs which may help insulate other properties and IRA assets against the claims of creditors. Every Self-Directed IRA investor needs a custodian or administrator affiliated with one or more custodians to create and maintain a functional Self-Directed IRA account. Few are totally go-it-alone beyond that. Most investors require a knowledgeable and experienced, multi-disciplinary team of professionals to get the most out of their self-directed retirement accounts. Fortunately, getting started in Self-Directed IRA investing is very easy, and our team of professionals at American IRA, LLC is available to help you throughout the process. 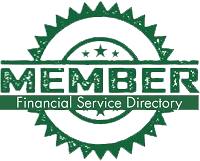 To learn more about our services as one of the leading Self-Directed IRA administrators in the country, or to set up an account and get started investing, call us today at 866-7500-IRA (472), or visit us at www.AmericanIRA.com. You can also read more on this subject at our blog, here. Do not delay! Give us a call today! We look forward to working with you! The stock market got wobbly in early 2018. But Real Estate IRA investors are doing just fine. Traditionally the busiest time of year for home sales as families prepare for their house search and move during summer when optimal weather is met with children out of school. The housing market inventory also increased by 4.6 percent compared to January. It is down by over 8 percent however, compared to this time last year. Meanwhile, demand continues to exceed supply as record employment numbers make it possible for more and more families to qualify for a home mortgage. Though mortgage rates have been trending up, they are still near historic lows, which supports home prices and is leading homebuyers to work to lock in today’s relatively low rates in anticipation of future rate increases. A 30-year mortgage is currently 4.4 percent in late March 2018. That is a 3.78 percent increase since September 2017, according to data from Freddie Mac. What results is a scarce housing market for a growing number of buyers. Historically, as this continues, house prices increase over time. Sales increases hinted a regional focus. Home sales climbed in the South (6.6 percent) benefitting many American IRA real estate investors; and West (11.4 percent), while slipping in the Midwest and Northeast colder climates. The Northeast region was particularly hard hit, with sales falling over 12 percent. Existing home sales accounted for nearly 90 percent of purchases in February 2018 leaving new-construction homes remaining on the market. The economy remains strong in the Southern and Western states as these regions continue to experience expansion and employment gains. The current supply and demand is affecting first-time buyers trying to get their foot in the door. These buyers, represent 29 percent of the market, compared to 34 percent a year ago according to the 2017 Profile of Home Buyers and Sellers published by the National Association of Realtors. The housing inventory is likely to remain tight for the foreseeable future. The strong job market is causing labor costs to increase, making new homes more expensive to build. Higher interest rates may also negatively affect construction loans, leading to higher hurdle rates on capital and restraining new construction. There may also be some fallout because of tariffs on steel as other countries retaliate, which could affect commodity prices. It is too soon to tell. In the jumbo loan market and higher end homes, the recent Tax Cuts and Jobs Act also reduced the favorable tax treatment of home mortgage interest on bigger loans. This may also lead to a modest reduction in demand for homes at the higher end. From the point of view of the Self-Directed IRA investor, multi-family dwellings and the middle-class market appears to be the place to be. First-time homebuyers are getting squeezed out, making entry level homes a tough sell. These people will be renting apartments for a while, boosting demand and rents in multi-family buildings. Wealthier buyers may hold off on buying luxury homes, since they cannot write off the entirety of the interest anymore. But the engines fueling strong demand for a shortage of houses are firing on all cylinders for homes in the middle market. A Real Estate IRA in many ways is ideal for hold long-term real estate investments. The assets grow sheltered from income taxes. There are no tight timelines to meet or Section 1031 exchange rules to worry about if you want to exit real estate for a while or take your time finding a replacement property after selling an investment. Assets in Self-Directed IRAs enjoy substantial creditor protection. You do give up the ability to take depreciation – but that is because there is no current tax liability on Real Estate IRA properties to depreciate against! The biggest downside is that gains in a Traditional Real Estate IRA portfolio are eventually distributed as ordinary income in retirement, rather than as long-term capital gains, taxed at a lower rate. However, gains on Roth Real Estate IRAs grow tax-free and are normally distributed tax-free in retirement, if the asset has been in the Roth IRA for at least five years. Getting started in Real Estate IRA investing and Self-Directed IRA investing is easy. To get a free investor kit and informational brochure, or to discuss your personal situation with one of our Real Estate IRA experts, call American IRA, LLC today at 866-7500-IRA (472). Or visit us on the Web at www.AmericanIRA.com. Life happens. Maybe you had kids. Maybe you got clobbered by the Great Recession. Maybe you got divorced. Maybe it was all three. But your contributions to retirement accounts were not what you hoped they would be. Your dreams of a big Self-Directed IRA or Real Estate IRA generating awesome rental income in retirement fell behind schedule. But regardless of what happened in the past, now is the time to aggressively save and invest to secure your future. When Congress designed the IRA, Self-Directed IRA and 401(k) vehicles to help Americans provide for their own retirement security, they knew lots of people would need to play catch-up as they got into their 50s and 60s. Most of these people are now empty-nesters in their peak earning years. Since their kids’ previous college expenses are paid in full and they have no other debt, they are able to channel those savings towards the catch-up contributions. Whether you have a Self-Directed Traditional IRA or Roth IRA, the contribution limits are the same. Including your catch-up eligibility, you can contribute $6,500 to either account. It is important to note, however, if you have both Traditional IRA and Roth IRA accounts the $6,500 is the total contribution for all accounts. i.e., you cannot contribute $6,500 to your Traditional IRA and another $6,500 to your Roth IRA. 401(k) plan beneficiaries can defer an additional $6,000 per year on top of the applicable $18,500 limit on salary deferral contributions. Max out your salary deferrals, including the expanded ‘catch-up’ contribution limit, and you can generate another $24,500 for your retirement over your baseline. You also get the benefit of any employer matching contributions. If you are self-employed, or you are the owner/operator of your own business with just you and/or your spouse as full-time eligible employees, you can also increase your company contributions to the 401(k) as well – up to a combined limit of $55,000 if under the age of 50 and $61,000 if 50 and older, per year. If you have enough free cash flow to fully fund a 401(k) for you and your spouse to that level, consider doing so. That maximizes the amount of money compounding for you on a tax-advantaged basis and may help shelter those assets from creditors. Investment real estate is a proven long-term wealth generator. It provides both current income and the potential for future price appreciation. Additionally, real estate investment also comes with the potential for increasing streams of income, an important source of protection against inflation as well as stock market declines. You can own investment real estate in your own taxable account, or you can own it within a Real Estate IRA. You can even own investment real estate directly in your Self-Directed Solo 401(k). Whether you have real estate exposure via direct ownership of real estate or via REITs, some exposure to real estate can help diversify your portfolio and provide a vital source of income and inflation protection going forward. It is also a lasting legacy you can pass to your children. Do not Hide from Risk. Markets are volatile. But it is important not to hide from risk entirely. Returns on ‘risk free’ assets like money markets and CDs are abysmal and provide no real hedge against inflation. You could be retired 25, 30 years or more. Going all cash will not generate a living income over time. Inflation and cost of living increases will eat away at your savings like a cancer. Keep some exposure to stocks, possibly including private equity assets. Also consider income generators like pipelines, oil and gas investments and other limited partnership structures using a Self-Directed IRA or Self-Directed Solo 401(k). Or just keep money you will not need for at least 5-10 years invested in stock markets for the long run. For more information, call us today, or visit our website at www.AmericanIRA.com. Famous investment guru Benjamin Graham once said: “You are neither right nor wrong because the crowd disagrees with you. You are right because your data and reasoning are right.” If someone were to ask you what the most popular way to fund retirement was, you would probably hear some version of the same response: find a wealth manager, use retirement accounts, and keep saving. And that is great. For some people, it is very effective. But what if there are tweaks along the way that could potentially boost your ROI in significant amounts, further bolstering your chances at a fully-funded retirement? The Self-Directed IRA is one such path. Unfortunately, a recent article in WorldFinance.com—while offering plenty of insight about retirement—did not spend any of its time talking about the Self-Directed IRA. And while they talked about the five most popular ways to finance retirement, it is important to remember one basic fact: effectiveness and popularity are two different things entirely. The first item on the list at WorldFinance.com makes a lot of sense: taking advantage of retirement accounts to maximize investment growth. Putting aside money in this fashion allows investors all over the country to build wealth easily and passively. The article went into detail about the types of accounts—including SEP-IRAs—but never addressed what happens when an investor self-directs their own retirement. A Self-Directed IRA is just that: an account that you control. And while the second item on the list at WorldFinance.com addresses real estate, there is little time spent pointing out that it is possible to hold real estate within a Self-Directed IRA account. Given that real estate is one of the most powerful ways to generate returns on investment, it is clear that what is “popular” is not always the total picture. Why is Self-Direction so powerful? It not only helps investors avoid the often-expensive management fees associated with money managers, but it allows investors to tap into those investments they would otherwise make through general accounts. For example, if an investor is strong in real estate, they would typically make the investment using the simple, routine processes of real estate investing. But with a Self-Directed IRA, they can hold real estate within a retirement account. This does mean that there are some important regulations to keep track of. One cannot simply purchase a home and live in it through a Self-Directed IRA—the IRS prohibits these kinds of investments from being used within a retirement account. A Self-Directed IRA is considered a separate entity from the investor, which means that the property itself will also have to remain separate. There are other options, such as investing in precious metals. This opens up the possibilities of a more diversified investment portfolio. See our section on Investing to find out what these are. There is nothing wrong with a strategy being popular. The concept of buying and holding mutual funds in an IRA is popular because it is effective, it works. Over the long-term, this can generate amazing returns for investors who have the patience to withstand challenging market conditions. But that does not mean that what is popular is also the end of the available options, especially in the world of retirement investing. There is more to consider. There are other advantages investors can use. There are different asset classes that can potentially bring wealth to investors who understand them well. It is vital for investors to broaden their horizons so they know each and every potential advantage they can use on the path to financial independence in retirement age. Want more information about Self-Directed IRAs? Visit our section on Self-Directed IRA accounts or call American IRA at 866-7500-IRA. Tip #1: True diversification is about asset classes. You’ve heard it a thousand times: diversification is the key way to avoid excess risk. You don’t want to put all of your eggs in one basket. So why is it such common advice to do exactly that by putting all of your money in the stock market in one form or another? Here’s something you might already know: if all you own are mutual funds, there’s a good chance you’re not as well-diversified as you think. Diversification is about asset classes, not just different assets within each class. And while it’s great to own a mutual fund rather than an individual stock, smart investors will think beyond even that in order to achieve true diversification—and more financial security. Tip #2: Utilize your specific expertise with a Self-Directed IRA. Know a lot about real estate? Then why, when it comes to your retirement plans, does real estate fall by the wayside? With a Self-Directed IRA you can invest in real estate. Sure, the rules are different—but so are the protections. That means you can have plenty of wealth stored away in an IRA that’s better-protected than any ordinary real estate investment. If you know a lot about real estate and know how to spot a good investment when you see one, holding real estate in an IRA is a great way to build wealth for your nest egg. Tip #3: Taxes matter—a lot. When it comes to retirement, you’re talking about compounding interest. That’s a powerful tool in building wealth, because it means you can expand your holdings simply by being patient. But compounding interest works both ways too. The more you lose to taxes now, the more devastating it is for your ultimate retirement nest egg. Everyone should work hard to comply with all tax rules and laws. But that also means that you should take advantage of the tax protections the government affords you. This includes keeping some holdings in an IRA—and not necessarily just stock funds, either. If you want your money to grow as efficiently as possible, you have to take taxes into account. IRAs are some of the best ways to reduce your tax burden while your money grows. Tip #4: Massive growth is possible with the right investments. The typical idea of holding money in the long-term is that compounding will be responsible for the massive growth. But using a Self-Directed IRA for something like a private company is a different way to get access to massive growth opportunities. Holding private equity in a company before an IPO, for example, can be a tremendous way to yield plenty of value in an IRA. This isn’t to say that any private investment is a guarantee of massive growth. All investments carry some degree of risk. But holding a Self-Directed IRA can give you the IRA protection you need for investments that really pay off in the long run. Want to know more about Self-Directed IRAs? Then it’s time to explore. Continue reading our materials here at www.AmericanIRA.com or call us at 866-7500-IRA to learn more about how the Self-Directed IRA works. But it’s getting trickier in recent months for real estate IRA investors in many markets to find a promising deal at a meaningful discount to intrinsic value – one of the keys to long-term profits at acceptable risk, according to no less an authority than Warren Buffet, chairman of Berkshire Hathaway and one of the most successful investors in history. The reason things are getting dicey: As the economy improves, the supply of distressed and foreclosure deals is drying up. Fewer people are losing their jobs, more people are getting back to work, and naturally fewer homes are falling to foreclosure, and fewer homeowners are forced into short sales. Banks are also less likely to agree to short sales, because they are more assured of getting a decent price for them if they go to auction. In all, distressed sales, including foreclosures, short sales, third-party foreclosure auctions and direct SEO sales now comprise 12.5 percent of all home sales, as of the end of the third quarter. That’s the lowest level we’ve seen since Q3 2007, according to the Q3 2017 Home Sales Report from ATTOM Dada Solutions. Discounts are narrower. This means that auction participants have to bid higher prices to pick up properties. Less margin for error. A few years ago, foreclosure properties were selling at relatively large discounts compared to the level of expenditures needed to bring them up to a rentable condition, or to prep them for sale to a retail homebuyer. That left a comfortable margin for mistakes. If you anticipate spending $10,000 to fix a new investment property up and the real number turns out to be $20,000 by the time all is said and done, you wouldn’t be happy about it, but at least you still had a fighting chance to make at least some money on the deal. In today’s market, making a mistake like that can mean the difference beween profit and loss. More competition for a limited number of properties. The total number of distressed/foreclosed properties is down. But there are still lots of investors out there bidding on them! When you show up to an auction, you may find quite a number of other bidders there. The more bidders there are, the more you will have to sweeten your offer, in most cases, in order to maximize your chances of winning the deal. If you’re out there bidding on foreclosed properties in this environment, consider making these adjustments to improve your odds of bidding and winning on quality properties at a reasonable price. Show up with proof of funds. Either have a cashier’s check from the bank or a letter verifying funds ready to go when you come to the auction. If you win the bid but can’t prove you have funds that same day (and in many jurisdictions by lunchtime that same day), the auctioneer will cancel your bid and contact the next highest bidder. Be ready when the high bidder backs out. Sometimes the high bidder can’t show proof of funds, or gets cold feet for some other reason. In any case, be ready to answer your phone for a few days after the auction – especially if you’re the number 2 or 3 bidder. You might know that real estate can be a great investment. You might even know that it can be a vital part of a retirement portfolio. But you’d be surprised at just how few people understand the Real Estate IRA and what it entails in terms of protections, limitations, and opportunities for growth. Borrowing money. You can borrow money any time you can convince a bank to lend you some, of course. But what many investors don’t know is that they can borrow money within a Real Estate IRA to purchase the real estate. This happens through non-recourse loans, which is a limitation, but also a protection: it means the bank can’t come for the rest of your assets should the IRA default on the loan. It’s rare that you see opportunities and protections packaged into one interaction, but with the Real Estate IRA, it’s possible. Property managing. You don’t have to do it. In fact, you won’t be doing it, as the property manager will be collecting income and handling expenses while any profit left over will go into your retirement account. This keeps the property hands-off for the investor while any profits roll in on a passive basis. Selling property. When you sell property within your Real Estate IRA, it will be a bit like selling stock within an IRA—you’re not going to have to pay capital gains taxes that year. This is a tremendous benefit for investors who are operating on thin margins and need to squeeze profit out of their investments while they build long-term equity. Partnership is still possible. Partnering with others and even yourself can be done when you acquire the asset, although it’s always a good idea to talk to an expert to make sure you’re following all the rules. Of course, even a great account like an IRA has its limitations. You cannot use the property. Sorry, no owning your own home through a Real Estate IRA—it has to be for investment purposes only. You cannot fix the property yourself. If you want to use a real estate investment to satisfy your DIY nature, you can’t do it within a Real Estate IRA. These limitations and protections are for keeping your real estate investments as exactly that—investments. Using them in personal ways flies in the face of keeping that separate entity for your retirement investment purposes. To learn more about Real Estate IRAs and both the limitations and opportunities packed with them, visit our Real Estate IRA guide. The more you learn, the better you’ll be able to make real estate work for your retirement strategy. The time went by fast, didn’t it? It seems like yesterday we were just starting out, thinking it would be forever when the older people were us. Now the bluehairs are the kids! If you’re approaching retirement age, it’s time to take some important steps to set yourselves up for a successful retirement. That means getting in all the tax-advantaged contributions you can, hitting your Medicare deadlines, and taking an honest look at your expected income and expenses. Assess your situation. Now’s the time for a realistic assessment of how much you can expect to receive per month and per year, on a sustainable basis from your retirement accounts, personal savings, pensions, taxable investments and Social Security benefits, as well as your required monthly and annual expenses. With interest rates still relatively low, most planners are using a 4 percent withdrawal rate as a rough rule of thumb. Rates much above that amount quickly increase the likelihood that you may outlive your retirement savings. However, owning rental real estate in a Self-Directed IRA, or investments designed to kick off a significant income such as REITs, annuities, preferred stock and the like may help increase those odds. A good financial planner can help you with those projections. Whatever income you project for yourself, discount it to account for inflation, and then try to live on that amount for a year or two. No cheating! Let’s see how it goes! 2. Get in your last-minute retirement plan contributions. For IRAs, including Self-Directed IRAs, you have until your tax filing deadline next year to make your contributions for the current year. But you don’t get that break for employer-sponsored plans. If you are participating in a 401(k) plan via an employer (even if you are the owner-employee of your own company), you must complete all your contributions by the end of the calendar year. Time to boost your contribution rate to the maximum possible. 3. Take advantage of ‘catch-up’ contributions. Whether you have a conventional IRA or a Self-Directed IRA, those taxpayers over age 50 are allowed to contribute an extra $1,000 toward retirement. So if you were planning on contributing the maximum of $5,500 per year to your IRA or Self-Directed IRA this year, and you turned 50 or older this year, you can contribute an additional $1,000, for a total of $6,500. If you’re participating in a 401(k) plan, you get an additional $6,000 in allowable salary deferral contributions if you’re age 50 or older this year – for a total allowable employee contribution of $24,000. 4. Roll back your risk exposure. It’s been nearly 10 years since the stock market collapse in the Great Recession, sparked by the collapse in real estate and mortgage lending. Yes, the stock market has more than recovered since then. And so have most real estate markets (but not all). But back then, you had another ten years or more before you were looking at retirement in the face. You had time to recover. Do you have time to recover from a similar economic dislocation now? Chances are you don’t have the same amount of time. Your time horizon to retirement is now 9 years shorter than it was at this point in 2008. Depending on your situation, it may be time to take a good look at your risk exposure, asset allocation and increase your diversification. Self-Directed IRAs may help you increase diversification and decrease overall investment risk, depending on how you use them. While some Self-Directed IRA investors target quite risky asset classes, it’s also possible to use Self-Directed strategies and alternative asset classes to reduce portfolio risk as well, by picking up assets that may not be closely correlated with the broad U.S. stock market. 5. Don’t miss Medicare Supplement Open Enrollment. If you turned age 65 in the next year and you want to protect your savings against unexpected medical costs, be sure to make your Medicare decisions during your initial open enrollment period. That window opens up three months before the month in which you turn age 65 and enroll in Medicare Part Band closes three months after the month in which you turn 65 and enroll in Medicare Part B. If you miss this enrollment period, you’ll have to pay higher premiums for Medicare Part B and you may not be able to enroll in Medicare Supplement (Medigap) or Medicare Part C (Medicare Advantage Plans), or you may need to pay higher penalty premiums. If you don’t enroll, then you face the risk of having to pay significant out-of-pocket costs in the event of a hospitalization. Every LLC you put in a Self-Directed IRA needs an operating agreement. But if you don’t draft the operating agreement properly, you could make your LLC nearly impossible to run, and even endanger your Self-Directed IRA’s eligibility for the federal tax advantages we normally associate with these accounts. This could result in substantial taxes and penalties. Failure to limit compensation to owners. LLCs in IRAs cannot pay compensation to owners outside of the IRA. That means they can’t pay you a salary, no matter how much labor you’re doing and how much consulting you’re doing for your LLC, as long as it’s in the IRA. The same goes for your spouse, your children, grandchildren, parents, grandparents and those of your spouse, as well as any professional advising you on your LLC in a fiduciary capacity. Prohibited transactions are governed by IRC § 408(e)(2), which disallows most transactions between the IRA and disqualified persons. “Prohibited transactions” and “disqualified persons” are defined in § 4975(c)(1) and § 4975(e)(2). You should put language to that effect in your LLC operating agreement. Failure to limit investments. If you own your LLC within a Self-Directed IRA or 401(k), you should specify in your operating agreement that you cannot invest directly in prohibited investments like collectibles, life insurance contracts, alcoholic beverages, jewelry, gems and certain precious metal coins and bullion of inconsistent or insufficient purity. Failure to plan for the endgame. All operating agreements, in and out of the Self-Directed IRA, should contain language specifying what to do with the interests of any owner in the event that owner dies or becomes disabled. Too many owners fail to come to an agreement, and are asking for trouble if the unthinkable should happen. Think the unthinkable – and plan for it. Failure to restrict debt to non-recourse. IRA rules strictly prohibit owners from signing personal guarantees on loans or pledging anything outside of the IRA itself as collateral for a loan. Creditors must have no claim on any assets outside of the IRA. Failure to abide by these rules could result in some or all of your IRA’s tax status being revoked, resulting in significant taxes and possible penalties – plus likely legal bills. If you own an LLC within an IRA, 401(k) or any other tax-advantaged retirement account, your operating agreement should reflect these restrictions. Failure to define “units.” This is a particularly important mistake when there are multiple owners of an LLC, and/or when people are making contributions of capital that are not readily defined. Also, if you ever want to sell an interest in your LLC – or sell the whole business outright – it’s important to define who gets what. LLCs don’t come pre-subdivided the way corporations are with shares. Owners/partners in LLCs must define how the fractional interest of the company is broken up – and the tool for doing this is the operating agreement. Otherwise, if the company ever issues a dividend, no one will know who is supposed to get how much!